Here is a simple structure to choose meaningful goals, how to plan for them and make them happen. A few minutes a day can make such a difference. Before getting started, let’s review the last 6 months: Did you set goals?If so, take a few minutes and review your goals. 1. What ones did you achieve? 2. How did you achieve them? 3. Which ones didn’t you achieve? 4. Why didn’t you achieve them? 5. What other things have you achieved outside of your planned goals? 6. How do you feel when you achieve things? Do you feel good, motivated, accomplished? 7. Did you commit fully to your goals? 8. Did you believe you could achieve them? Identifying the reasons why you don’t achieve your goals will help you understand what you need to change and consider when planning your goals. Were your goals too big? Do you need to break them down into steps? Were they realistic? Do you need external help to achieve them? Did you write them down? Did you set out actions to achieve them? Be honest and examine your thinking behind why you didn’t achieve them, what you could have done differently? Challenge your thinking and be honest with yourself. This information can help you clarify your thoughts and overcome any overcome any obstacles to your success in the future. Over the last 7 years, one approach that stands out and appears in nearly every course I completed is the S.M.A.R.T approach to goal setting. 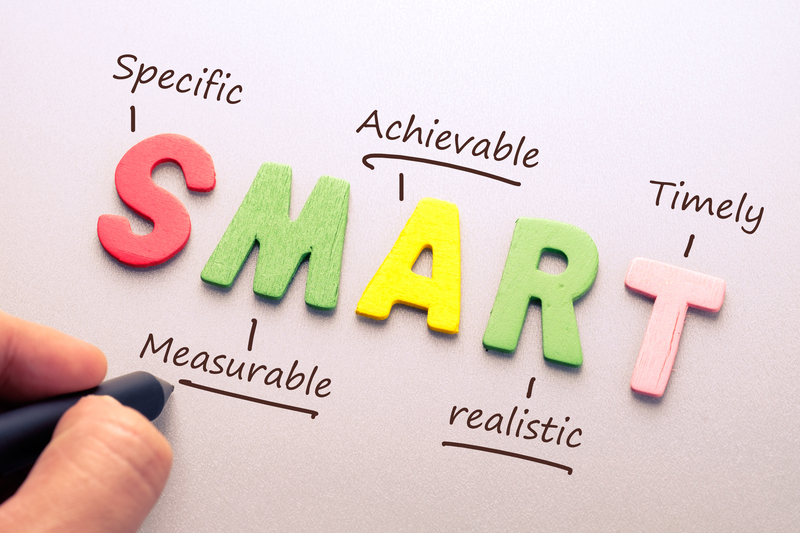 The S.M.A.R.T approach involves setting goals that are Specific, Measurable, Achievable, Realistic and Time-related. A common new year’s goal that people chose is the goal I want to lose weight. I want to lose half a stone in weight, losing a 1lb a week for the next 7 weeks. · Specific – Lose half a stone in weight by eating healthily and exercising 4 times a week. · Time-Related – The goal will be achieved in 7 weeks. Once you have written out your goals check your language is positive and based on the present. Write up steps to take action. 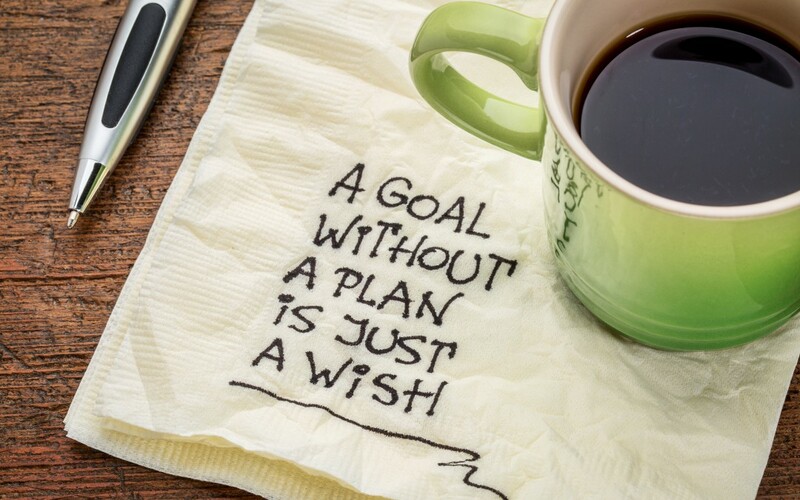 Review your goals daily to monitor your progress and amend your plan if required. Regular reviews help you keep focused and motivated to achieve your goals. Record each small achievement and when you have achieved an action towards your goals. These actions can increase your commitment to reaching your goal. Pictures, Vision Boards, Scrapbooks and Post-Its are great tools to help you keep focused and motivated. When someone is trying to lose weight a picture of themselves or something meaningful that represents their ideal body weight can be helpful in reminding people of their goal and prompt good feelings associated with it. Spend time visualising your goal and bring up positive emotions of how you would feel when you achieve your goal. See yourself achieving it. Then let go of the attachment to the outcome. Sometimes, however, clear goal setting isn’t enough to get you what you want. Often hidden or unresolved thoughts and feelings can be an obstacle to you achieving your goals. If you want to lose weight on a conscious level but secretly desire chocolate and crisps on an unconscious level then your thoughts are not in alignment which can lead to self-sabotaging behaviour. Having your conscious and subconscious mind in alignment is essential to realising your goals. Hypnotherapy is a wonderful way to clear the path and resolve any issues that may be preventing you from reaching your goals. In hypnosis, the therapist accesses your subconscious mind to make long-term changes by changing your thought patterns. During hypnosis, the therapist changes the pictures, thoughts and responses of the unconscious mind to positive life affirming ones. Hypnotherapy involves focusing your attention and brings you into a trance like a state. While you are in this state your unconscious mind becomes more responsive to change. During a goal-setting session the therapist will help you visualise repeatedly you achieving the goals you wish to achieve to the point that it feels real and then use the positive emotions associated with successfully achieve the goal to anchor the goal. Any negative feelings you have about the goal can be transformed into positive one thus removing any obstacles to achieving the goal. Hypnotherapy can be a quick and effective way to achieving goal success. 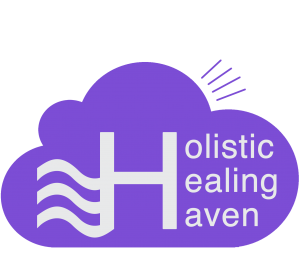 If you want help achieving your goals Contact Us for a consultation at Holistic Healing Haven. Disclaimer: Please note that this post is for information purposes only. I am not a medical doctor. This information at no point should be used in place of seeking official advice from a qualified medical doctor.